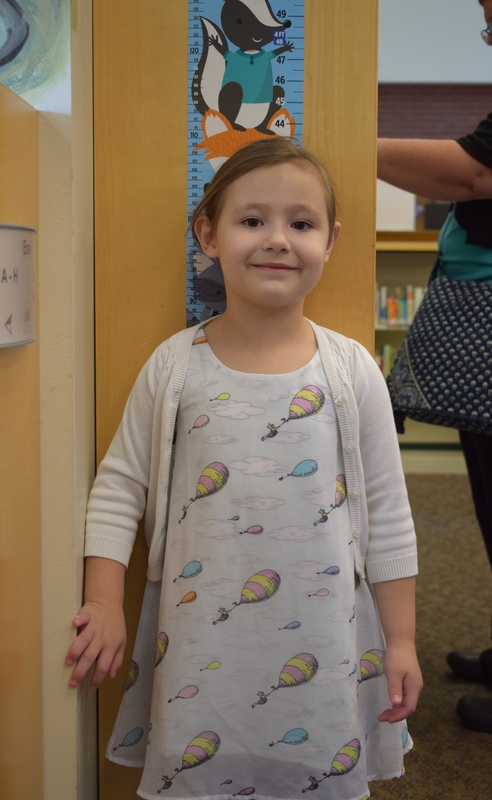 We had the opportunity to sit down and interview Liz Cowans, the guardian of the first child to complete the 1,000 Books Before Kindergarten program at our Newport Branch. 1.) Why did you enroll Maleigha in our 1,000 Books Before Kindergarten program? I really want Maleigha to be a reader. She is always really engaged when I read to her. I am a huge reader myself, and I wanted to find a way to cultivate a love of reading in Maleigha. I saw this program, and I thought it was the perfect way to do so. 2.) What are some of the benefits that you think the 1,000 Books Before Kindergarten program can have? I believe there are many benefits. The obvious one is inspiring a love of reading. One of the biggest benefits that I have observed is how much easier books have made it to teach her things. There are books for everything. When we started potty training, we read books on it. She wanted to be like the characters in the books, so it made the entire process much easier. Book characters can be great role models. 3.) How did you help get her excited about reading? I got her involved in picking books. When we visit the Library, I let her pick 3-5 books. After a while, she learned what her favorite topics are. Now she knows exactly where to go to find her favorite books. 4.) What is her favorite book? Her favorite book is “Goodnight Moon.” I think it is her favorite because she recognizes some of the references that the book contains. When the book mentions three little bears sitting on chairs, she will ask where Goldilocks is. It was also the book that I read to her the most when she was a baby. 5.) How did you keep her motivated? You get a prize for every 100 books that you read. Reminding her how close to a prize she was always motivated her. After reading 1,000 books, she was able to choose a book as a prize. She picked “Pete the Cat: I Love My White Shoes.” It is definitely her favorite prize. Once we finished the program, we started again. Your child can join the 1,000 Books Before Kindergarten club too. 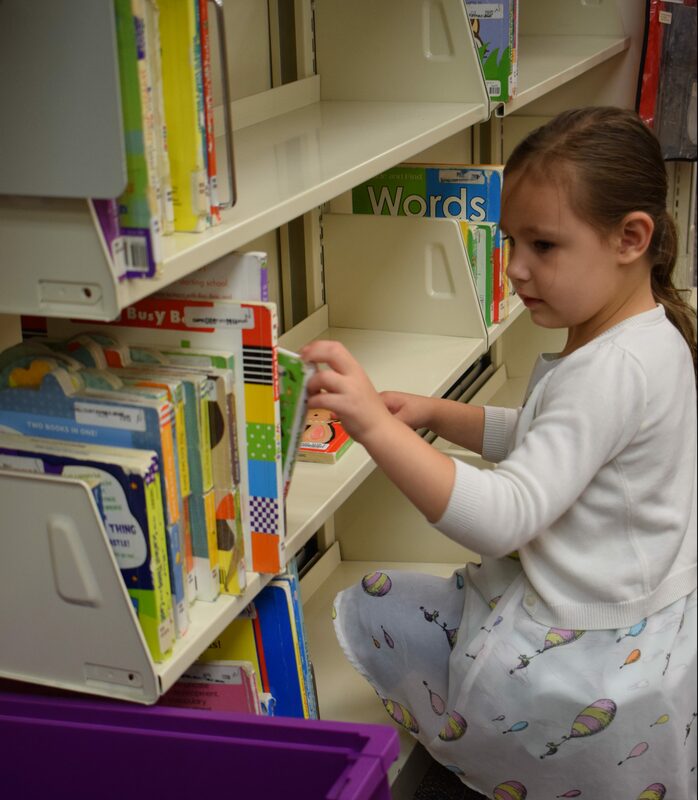 Stop by any branch to pick up a paper reading record or download the 1,000 Books Before Kindergarten app available for Android and iOS users. Fill in a circle for each book you read with your child on your reading record or keep track with the app. If your child wants to hear the same book again and again, you can count it each time. Books read at your branch’s story times count too! For the first reading record you complete, you will receive a Reading Passport. With each 100-book milestone, you will receive a sticker and the prizes listed in the passport. 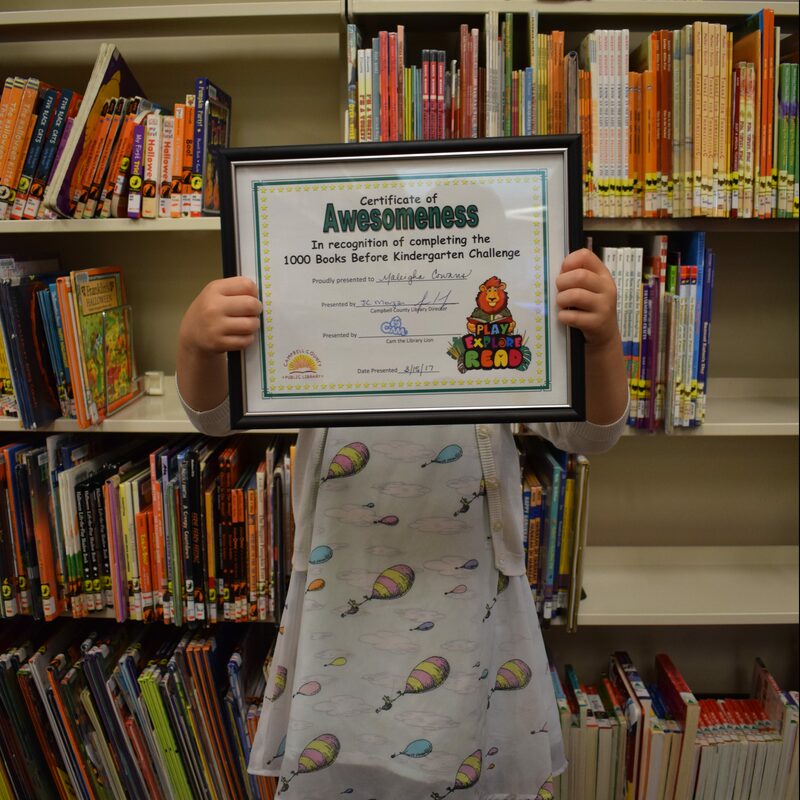 When you reach 1,000, come to the Library to receive your certificate and free book!